Bosnia and Herzegovina is a country located in Southeastern Europe close to the Balkan peninsula. Sarajevo is the capital and largest city. Among its neighboring countries are Croatia, Serbia and Montenegro. To the south of Bosnia and Herzegovina is the Adriatic Sea. Before you travel to Bosnia and Herzegovina read this travel guide to make planning your trip easier. The history of settlement in Bosnia and Herzegovina dates back to the Neolithic age. According to historical records, there were Celtic and Illyrian civilizations that settled in the area before its current residents have occupied the country. It is also a war-torn country and was a critical player during the World War II. It was declared independent from Yugoslavia in 1992 but the Bosnian War quickly followed after. The Bosnian War ceased by 1995. 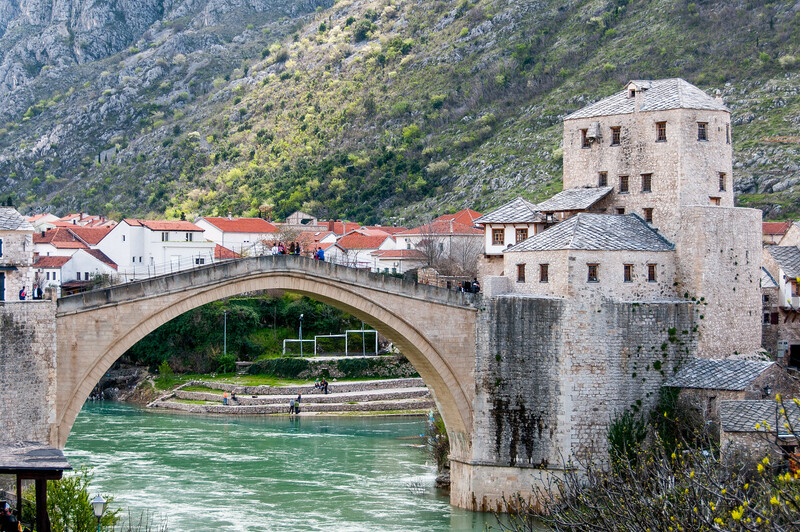 Bosnia and Herzegovina is one of the most frequently visited countries by tourists in the region. It also has a high level of literacy and life expectancy. The growth rate of tourism in the country is growing rapidly that it is believed to be the third highest growth rate if the trend continues until the year 2020. In terms of economy, agriculture used to be the primary source of income for the citizens of Bosnia and Herzegovina. The export of fresh foods also helped to boost the country’s economy for some time. However, there is more diversity to the country’s economy today and the GDP per capita is about 29% of EU average (as of 2010). Official Language: Bosnian, Croatian and Serbian are the official languages of Bosnia and Herzegovina. Wi-Fi Availability: Most hotels in Bosnia and Herzegovina, especially in Sarajevo, offer free Wi-Fi to their guests. 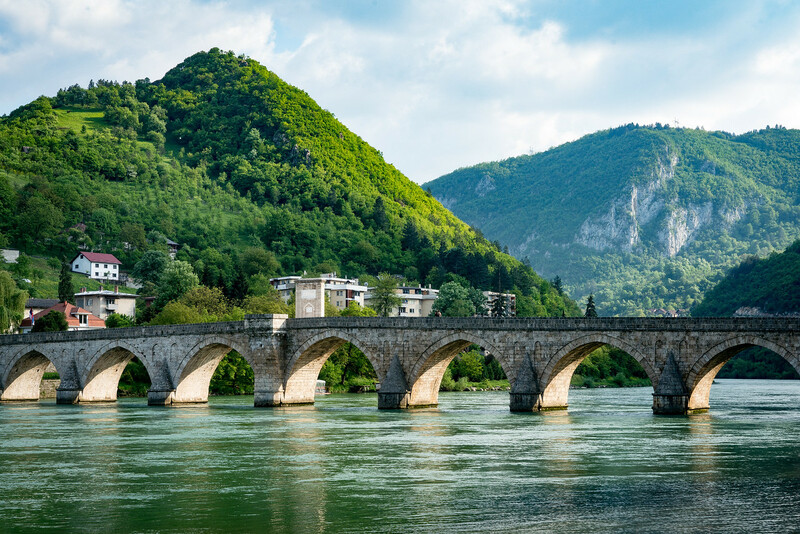 Therefore, you should have no trouble connecting in Bosnia and Herzegovina. Airport/s: Sarajevo International Airport in Sarajevo is the main international airport for travel to Bosnia and Herzegovina. Visa Required: The visa requirements are similar to the Schengen visa for travel to Bosnia and Herzegovina. Citizens from countries that do not require visa are allowed to stay for up to 90 days on a 180-day period. Citizens of other countries can also obtain a visa upon arrival during travel to Bosnia and Herzegovina. Driving: In Bosnia and Herzegovina, you must drive on the right side of the road. International Driver’s License Accepted? You can use your foreign-issued driver’s license to drive in Bosnia and Herzegovina. However, it might be a smart idea to carry an international driving permit as well since some rental car companies require them. Crime: The crime rate in the country is low to moderate. Thankfully for tourists, they are not singled out by criminal activity. The crimes though are non-violent in nature such as theft and pick pocketing. Electrical Adapters: In Bosnia and Herzegovina, they use an electrical voltage of 220 volts at an electrical frequency of 50 Hertz. 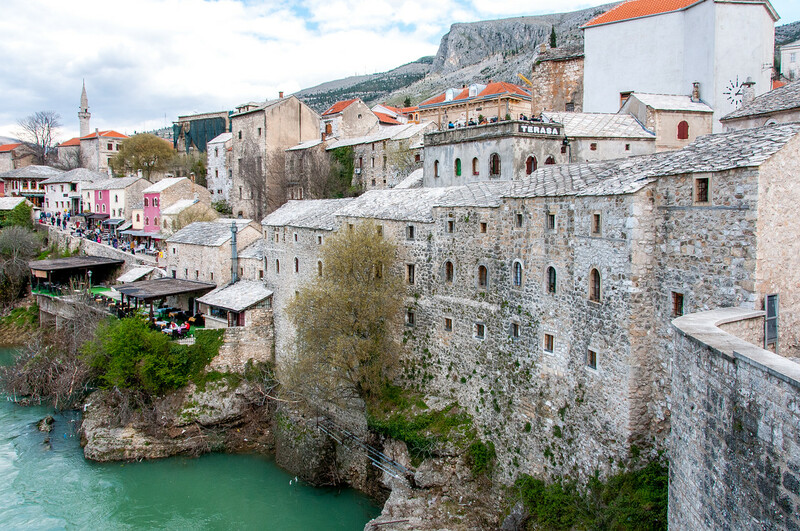 Trivia: DID YOU KNOW that the currency of Bosnia and Herzegovina cannot be used outside the country? Therefore, you will only be able to exchange your currency upon arrival and you can also have it exchanged before going home (unless you want to take that as a souvenir). Pita Bread – This is a staple in the country’s cuisine. In fact, it is often served as a starter dish or appetizer for every meal. Barley Soup – This is another favorite amongst the Bosnians and often served at the start of every meal. The soup is often served piping hot, which makes it an ideal soup to have during winter or colder months. The soup comes with a tomato-based broth that comes with meat and barley. Cevapi – Many consider this as the national dish of Bosnia and Herzegovina. It is Bosnia and Herzegovina’s equivalent to the hamburger in the USA. The dish is made out of rolled beef sausages that are served with bread or fries. Cufte – This is another specialty dish from Bosnia and Herzegovina. It is their version of meatballs that are typically made with beef or lamb then baked in the oven. The meatballs are usually served with a yoghurt sauce along with rice and a side dish. Burek – This is another must-have when you visit Bosnia and Herzegovina. It is a ground beef meat pie wherein the thin pastry is stuffed with meat. 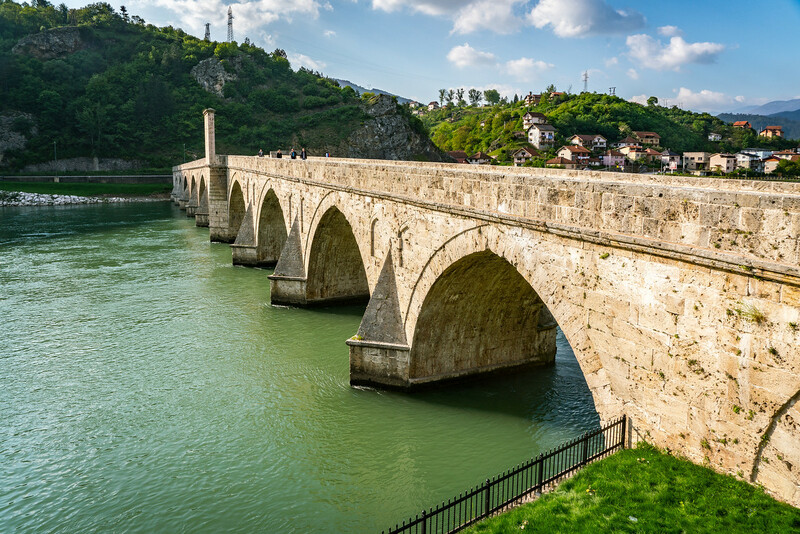 Stari Most – It is safe to say that this is probably the biggest attraction in Bosnia and Herzegovina. This is a 16-century Ottoman bridge that was reconstructed to its current state. The bridge crosses over the Neretva river and is connecting two different cities. It is also a culturally recognized UNESCO World Heritage Site. Svrzo’s House – This is an old house located in Sarajevo in Bosnia and Herzegovina. This house was constructed during the Ottoman rule. Today, it is one part of the Museum of Sarajevo. Kravice – This is a beautiful waterfall located within the Trebizat River. The waterfall rises to a height of 25 meters that cascades down in a dramatic fury. It is one of the most awe-inspiring and breathtaking waterfalls in the country and this part of Europe. Tvrdos Monastery – This is a 15th-century Serbian Orthodox monastery located in Trebinje. The main cathedral was constructed in 1508 with Vicko Lavrov painting the murals for the monastery. The building was reconstructed in 1924 to its current state. Sarajevo Tunnel – This tunnel was built during the time of the Bosnian war at the Siege of Sarajevo. The construction begun in May 1992 and finished in November 1995. The tunnel was built by the Bosnian Army to provide a link to the city of Sarajevo. The tunnel also connects to various other cities like Butmir and Dobrinja, which was also used to transport food, humanitarian aid, weapon, etc.